2015 November 01/02. Another high atmospheric pressure centred area is giving some opportunity for sky watchers, but as always you "takes you chance"! There was a marked low altitude auroral glow thoughts the dark hours well seen before moonrise on the 1st November. Long, clear intervals during the evening and night of the 1st November, with a little auroral glow, enabled us to image Comet Lovejoy in a dark sky before moonrise. The comet is now over 640 million km from Earth and receding all the time. 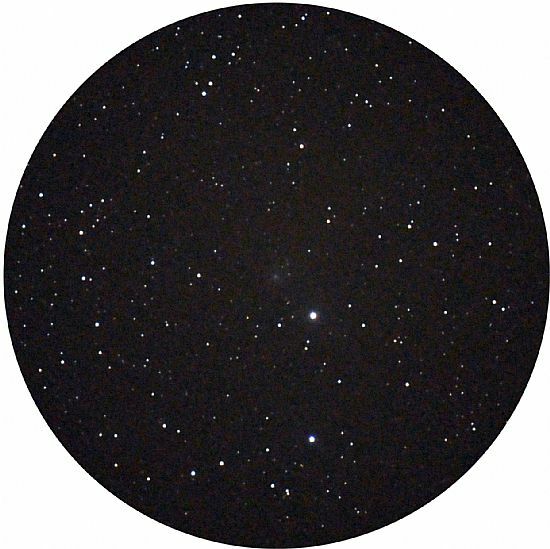 As will be seen, the comet is no longer circumpolar from Orkney and, with an ever decreasing altitude, it is unlikely we shall be able to follow the comet beyond the end of December, by which time it may be too faint to image with our equipment. Were we to do so, then this will amount to a period of observation of one year. 2015 October 29. A small window of opportunity with a clear evening and early night following a day of cloud and rain. 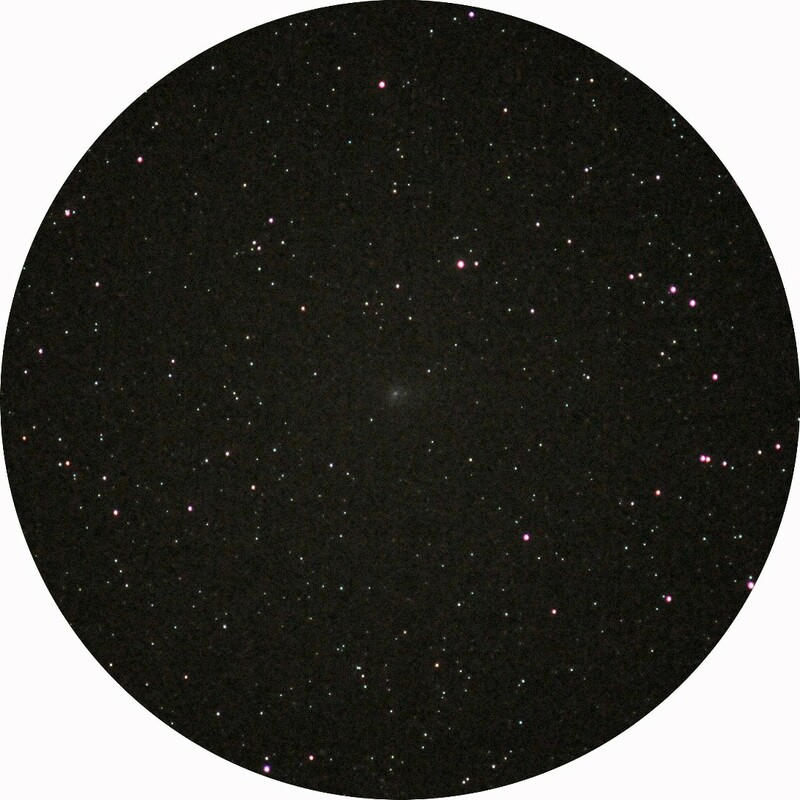 The comet is at the centre of the field showing as faint, bluish haze without a defined nucleus. Not surprising since the comet is now over four times as distant from Earth as is the Sun from Eartrh. Exposures were compromised by the presence of twilight and the presence of the Moon at phase 92/6%, altitude of 1.7°. The trick was to gauge the right time to make the exposure taking into account the two factors of twilight (in the west, where the comet is situated a present in constellation Hercules) and moonlight. This requires judgment for the peculiar circumstances at the time (seeing and transparency being the other two factors); no computer programme will give you this!